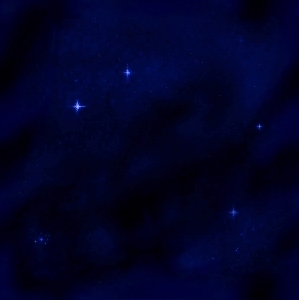 The spacecraft image above is from the cover of Starflight, a 1986-release computer game that was ground-breaking and inspiring to a whole generation of gamers and would-be space-explorers. Most of us will never get a chance to go into space personally. However, there are many things you can do to learn about what's beyond our atmosphere, and enjoy it without ever leaving the ground. 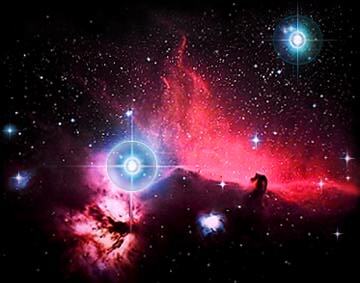 Many people take up amateur astronomy, which can be done very inexpensively if you choose. All you need is a good set of 10x50 binoculars to get started, and a chart of the constellations. For those who are more serious about it, a tripod-mounted telescope, and a catalog of more distant and faint objects might be more interesting. Surprisingly, in recent years, even more options have become available that don't even require you to leave your home. Computer games and programs have come into being that can accomplish this in one way or another. As computer technology improves, so do the programming accomplishments that can allow you to travel to distant worlds. Games can take you to a wide range of imaginary worlds, and allow you to interact with many fictional alien beings. One of the first to do this well was a game called Starflight, which came out in the 80's for the older PC computers. While it appears very dated by today's standards for graphics and game design, it has not been matched since in it's capabilty to allow you to explore a vast and detailed universe. It was the first game that ever created that sense of awe and humility that comes from being a single lonely explorer in an immense unexplored universe. For many of us, this game was inspiring on many levels. It influenced an entire genre of computer gaming, and even hooked people into taking an interest in space. 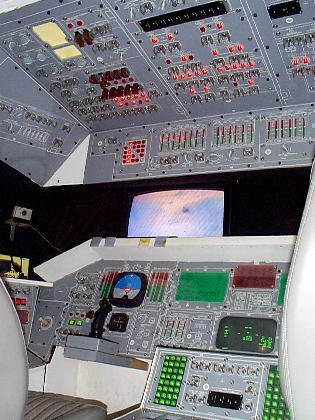 In 1996, Microsoft released a Space Simulator, similar in concept to their Flight Simulator series. It simulated the physics behind space travel, including relativity and time dilation, and would allow you to travel to the planets, and other stars in a realistic fashion. It too is dated by today's standards, but it is one of the few programs in existence that made a successful attempt at simulating the way spaceflight and orbital mechanics works. Copies of this program can sometimes be purchased from E-Bay. Unfortunately at this time, Microsoft is not planning on re-releasing the program or making a new version. There are a variety of astronomy programs available as well. 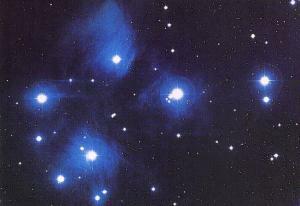 Most are designed as aids for actual astronomy, acting mostly as star locators or star charts. Some of the nicer ones actually simulate the view of the night-sky as it appears from your location in real-time. In some cases these programs can interface directly to an auto-tracking telescope and point your telescope at a selected object automatically. 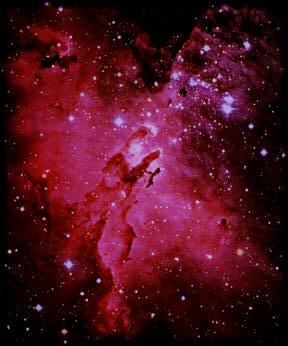 Another wonderful astronomical program that has come to my attention is called Celestia. It is a space-simulator, capturing in amazing detail the appearance and motion of the planets and moons within our solar system, allowing you to see their positions in real time or for any other date. You can accelerate time to watch their motion, or watch it in real time. You can even watch realistic simulated eclipses, and travel to many different stars in our local corner of the galaxy, or even zoom all the way out and rotate the entire galaxy around. It's an amazingly versitile and visually stunning program, and easy to use, available for both Linux and Windows. 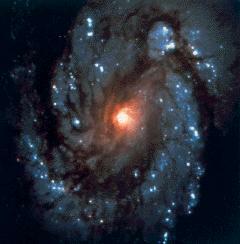 In addition to regular optical astronomy, there is also radio-astronomy. Most of the time this is far beyond what an amateur astronomer might do, unless they're planning to perform SETI (Search for ExtraTerrestrial Intelligence) searches, which is actually well within the capabilities for a hobbyist on a modest budget to do. The SETI League is a non-profit grassroots organization of such enthusiasts, who are using their own money and effort to pick up where the more professional SETI efforts have left off, and doing work that is just as valid, and in fact their alternate approach helps to fill in the gaps left by the other SETI programs. And for those who don't wish to take the time or spend the money for an antenna dish and computer equipment to do 24/7 monitoring of the sky, an alternative has been around for the past few years. SETI@Home is a "screensaver" program that you can download and install on your home computer, whether you're using Windows, Linux, Solaris, or whatever. This program uses your computer's idle time to perform calculations and analysis of recorded radio signals from the Arecibo Observatory to search for signals that could be of artificial origin, with minimal impact on your computer's performance. The program runs in the background, and optionally as a screensaver to accomplish this. Many people give up on it after a while, since they see no immediate direct benefit to themselves, but I must remind everyone that it's real science, not science fiction. That means results may be long in coming, or never be acheived at all. But often the effort yields it's own rewards, even if the outcome is different than was originally desired or anticipated. For those of us who understand this, it can be rewarding to know that you're able to contribute to an on-going effort in this field. The SETI League has it's own SETI@Home Team, in which you can see my own contribution statistics. A rare few of us also consider taking things a step further. If computer programs and the night sky aren't enough, sometimes immersing yourself in your imagination with the right tools is the answer. Many people have places or things that they use for quiet isolated contemplation or meditation. Some people build rock gardens, others find secluded places in nature... and then some of us build simulators or planetariums. I haven't begun work on mine yet, but this page will be updated with information about it when the time comes.